A string of pearls, a perfectly chilled martini, a classic tux. Some things never go out of style. Introducing the Evergreen. A lush, botanical arrangement buzzing with life. A soon to be classic, this bouquet will turn any room into an urban sanctuary. 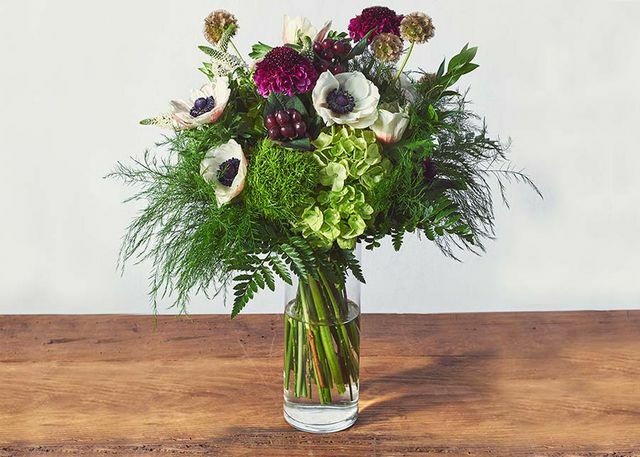 *Scabiosa pods are currently out of season so the bouquet will have replacement blooms. NOTE: Glass vase is included.